The snow is falling here in Richmond as I write this post. I love how the snow blankets the ground and makes the landscape a glistening, clean white. It really is quite pretty. I’m one of those odd birds that actually like cold weather and the cozy comforts that accompany it (blankets, hot tea, soup, etc.,) but I’ve gotta tell you, I’m tired of the freezing cold weather. Anything below 25 degrees Fahrenheit is wayyyy too cold for me. Especially since I lost weight. Take me back to the 50-degree range, please. I’m so ready for a touch of spring. The daffodils may not be blooming yet but that doesn’t mean I can’t add my own blooms. After I finished my Valentine’s Day decorations in the dining area, I headed to Michaels to check out their new florals. When I spotted this dark pink ranunculus, I fell in love. 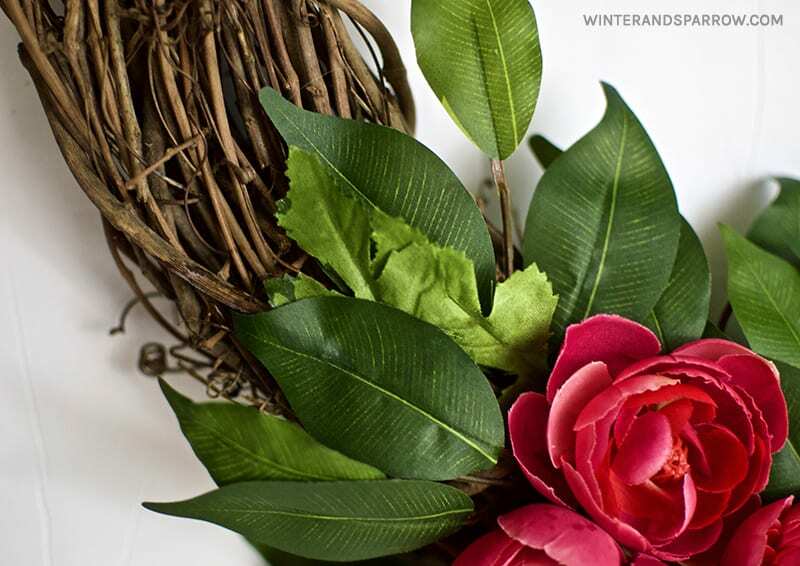 If you’re looking to add a touch of spring to your space, you’ll want to add this wreath to your to-do list because a) it’s easy to make and b) it’s cheap to make. This post contains affiliate links which means we may earn a small commission should you make a purchase from our linked products. You won’t pay anything extra but you will help support this site and keep the content free. Thank you in advance for helping us keep the lights on in this joint. 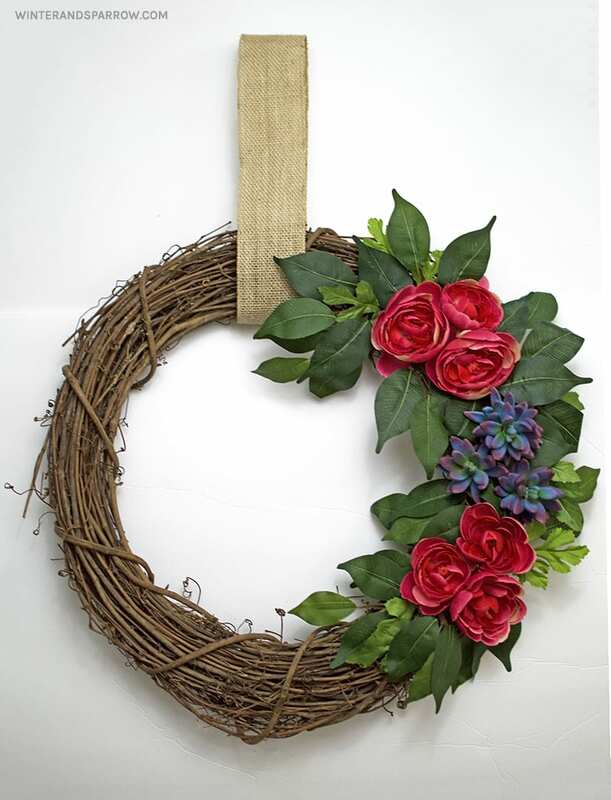 Grapevine wreaths can be messy so lay out your wreath in an area that you can easily clean. 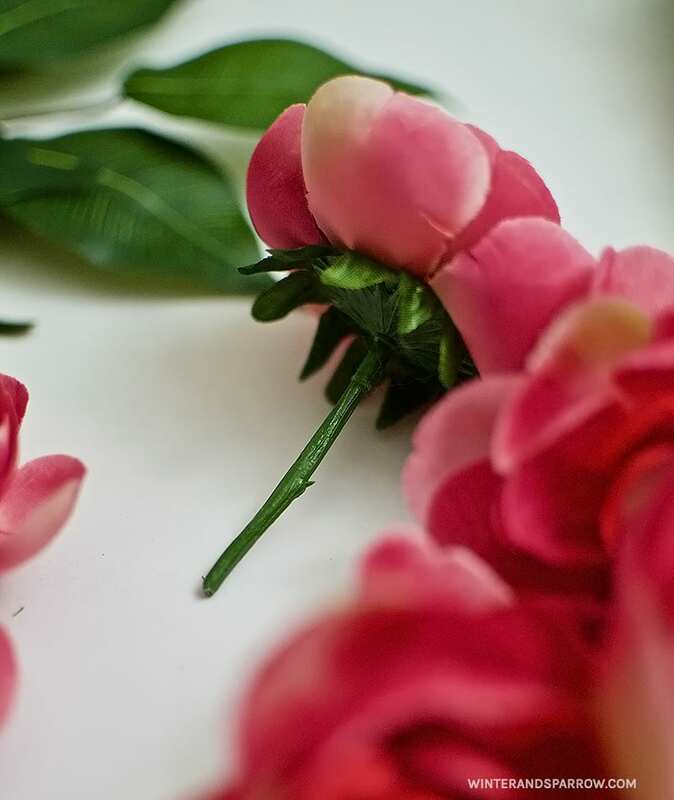 Using your wirecutter or scissors, cut the stems off of the ranunculus picks. Leave a short little stub at the end. You’ll need this to insert into your wreath. 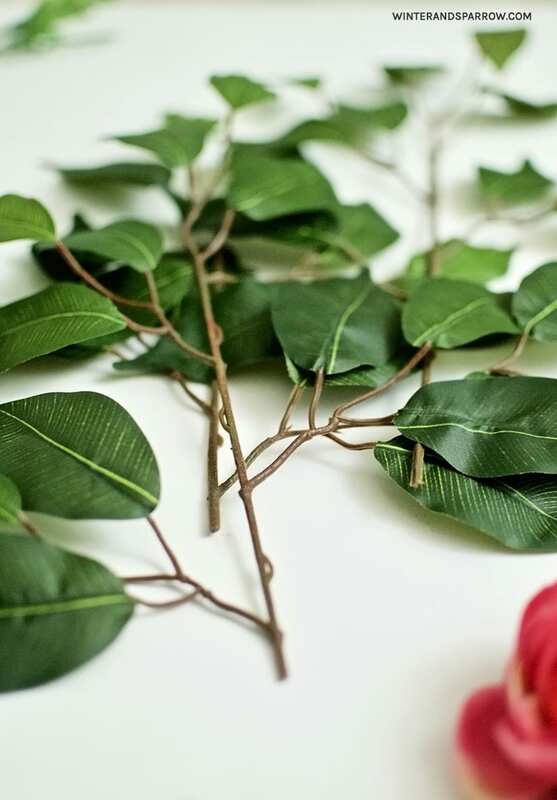 Cut the long stems off of the ficus floral pick (or whatever greenery you’re using). 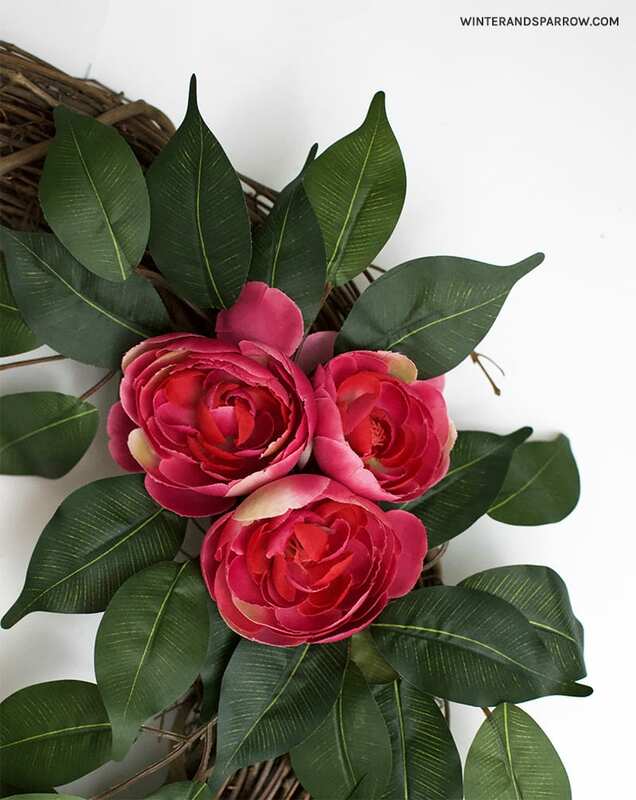 Arrange the ranunculus how you want them on the wreath but don’t glue yet. I grouped my flowers in three’s. 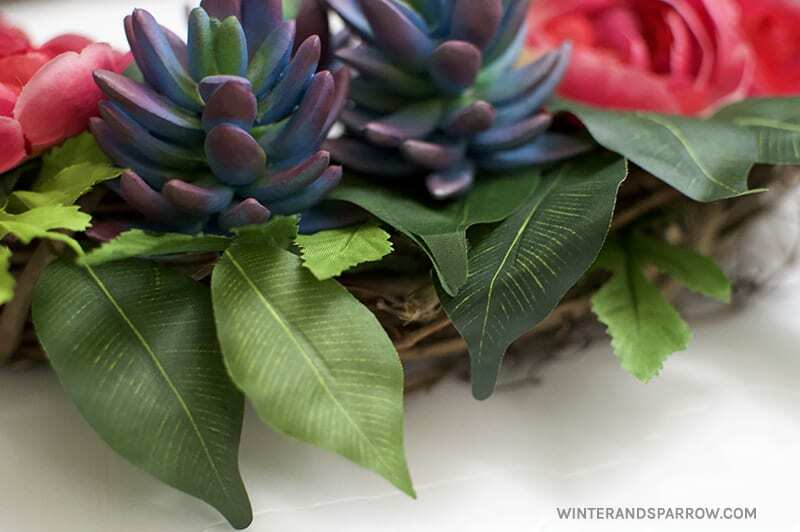 Add the greenery by poking the ends into the wreath. Arrange until you like the layout. Don’t glue yet. 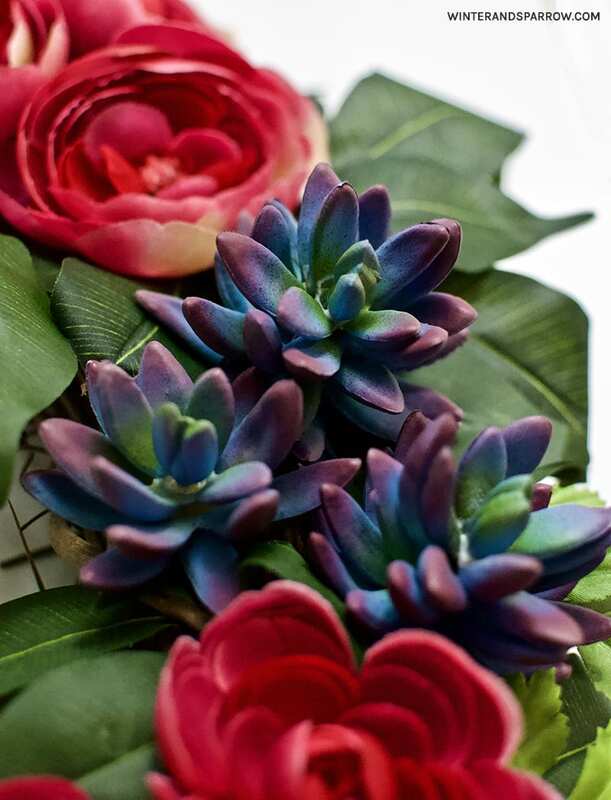 If the succulents you’re using have long stems, remove them with the wire cutter. Arrange on the wreath by poking the cut stems inside the grapevine. Don’t glue yet. I used the small leaves from the ranunculus stems to add a bit of dimension to the greenery. I didn’t need a wire cutter to remove them. They just peeled off. 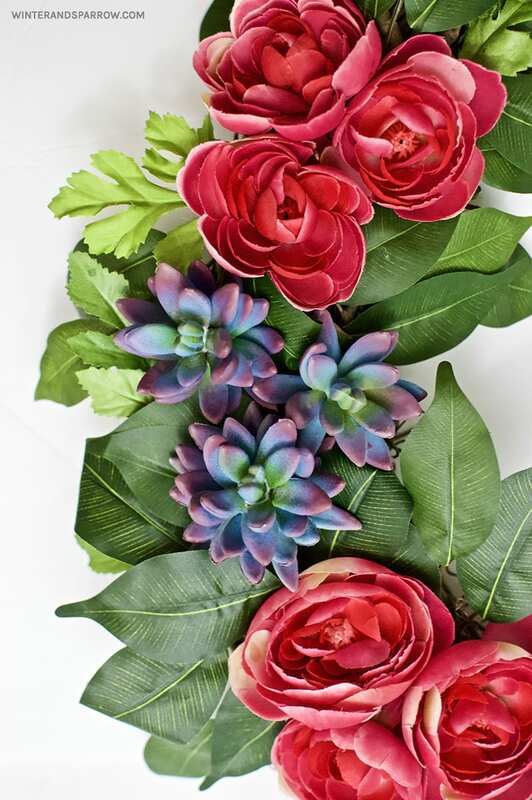 When you’re happy with the layout of the flowers and greenery, power up that glue gun and secure everything with glue. Note: I added glue to the tips of the stems and then inserted them back into the wreath. Solid as a rock afterward. Finally, cut a piece of ribbon (8-12″ long) and add it to your wreath (making a loop so you can hang up that beauty). Step back and admire and think spring! Thanks for visiting us today. What do you think? If you’re not ready to make this just yet, add it to one of your Pinterest boards for future reference.